The real estate and home building industry's online sales automation, Customer Relationship Management (CRM), and contact/eLead management system. 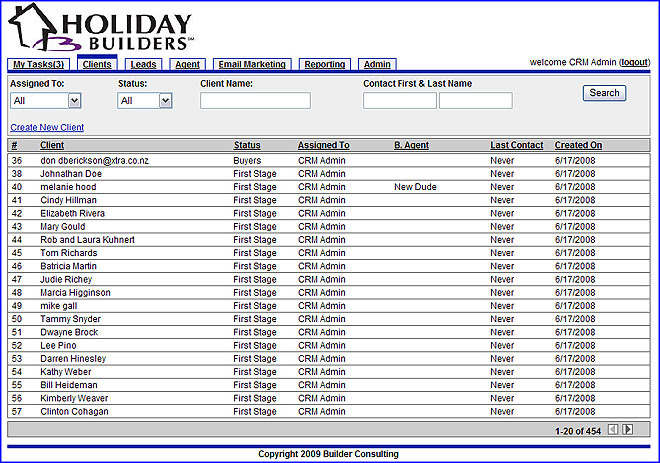 Designed from the ground up specifically for the building and real estate industry, Builder Consulting CRM provides superior functionality, performance and ease-of-use make it the CRM system of choice for real estate professionals and builders nationwide. The CRM software enables easy online management of the sales process from the time the prospect visits a website, or walks into the sales center, to follow-up and email marketing, meeting and task reminders, customer follow-up, easy email newsletters, dynamic contract generation, change order management and customer relationship management. Improve follow-up communication using automated reminders and communications. With unmatched performance and high scalability, the Builder Consulting CRM software for home builders and real estate is built on solid, cutting edge technology, working every minute of every day. Redundant off-site backups and solid secure firewalls protect the data and contacts. 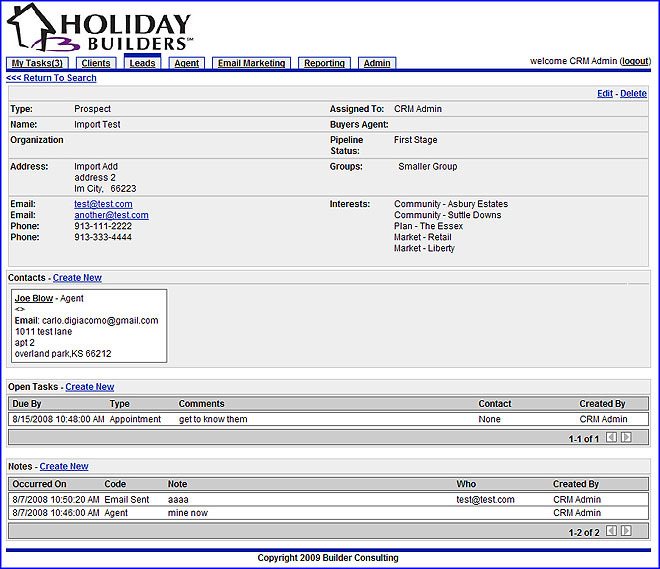 With comprehensive integration capabilities, Builder Consulting CRM may be integrated with your custom website or leading software applications, including Outlook, Timberline, NewHomeSource & Move.com. 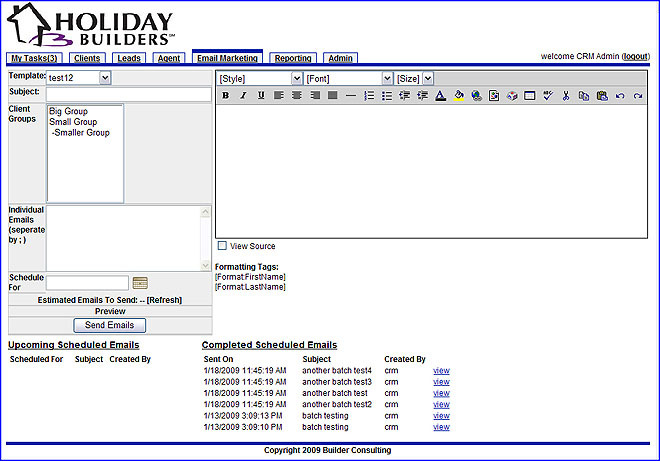 Builder Consulting CRM was built for the real estate and building industry for the real estate and building industry, so you can rest assured that this user-friendly CRM system contains intuitive navigation that easily assists users through the marketing, follow-up and home buying process. A true Microsoft .NET application provides home builders and real estate professionals with a quick ROI. Fast deployment, low-cost of ownership, and no client/server software installations or downloads.